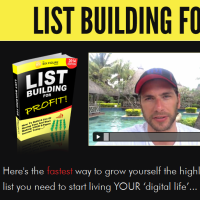 One of the underlying principles of internet marketing is list building and that’s the focal point for this page. 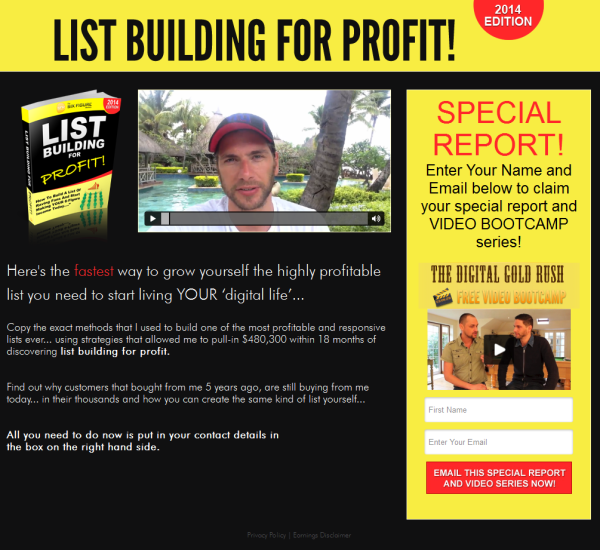 The free list building report and 7 day video bootcamp are featured quite strongly in the right hand column. The colour scheme is unlike the vast majority of lead capture pages that you normally see which really makes this page stick out and is why it’s one of the higher converting lead capture pages.